Only one winner per household is permitted every 30 days. 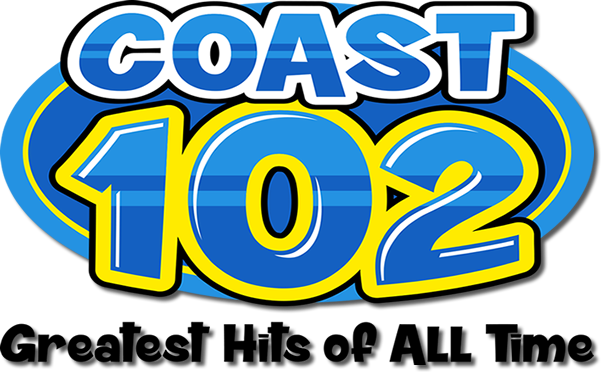 When a money contest is held, listeners may only win once per contest and must be age 12 or older and from the Coast 102 RADIO terrestrial listening area. Listeners who win tickets for events must pick up the tickets by 5 p.m. the day of the event. If the event is held on Saturday or Sunday, the tickets must be picked up by 5 p.m. the Friday before the event. If the event is cancelled. Coast Radio Group is not responsible. Prizes given away for that event will not be replaced with another prize. Listeners must be at least 21 years of age to win tickets associated with a casino or to win alcoholic beverages. Employees or family members of Coast Radio Group or any radio station in the listening area are not eligible to participate in any contest on a Coast Radio Group station. will take a numbered caller to repeat all 3 phrases exactly, in the correct order. If the phrases aren’t exact or incorrect, the next caller will have an opportunity to win. And so on until he gets a winner. The winner must have won inside the Coast 102 radio (terrestrial) listening area. The winner will have two weeks to claim their check for $102 at our studios at the intersection or Lorraine and Seaway Roads in Gulfport during our business hours 8am-5pm, Monday through Friday. The actual winner must be present to claim the check. The winner must present proper identification. One winner per immediate household for the duration of the contest.